As enrollment figures are starting to drop, many colleges are welcoming pets. Administrators at State University of New York at Canton have seen enrollments increase and emotional problems, often associated with students leaving home for the first time, decrease since allowing pets on campus. A survey of 1,400 colleges lists allergies and irresponsible students as the two main reasons for not allowing pets. Other objections include mess, noise, disease, biting, roommate issues and pet abandonment. 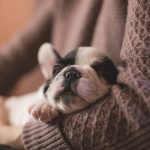 Schools that allow pets solve these problems in a variety of ways, including special dorms for students with pets and extra security deposits and cleaning fees. Schools also require current veterinary records and waivers of liability. At Massachusetts Institute of Technology, students may keep cats in “cat-friendly” areas of certain dormitories. The cat-friendly areas have a Pet Chair who is responsible for approving and keeping track of pets in the dorm, and the pet owner must have approval from his or her roommates. Students with pet ducks are in luck at Eckerd College. In addition to cats, small dogs and rabbits, the college allows owners of waterfowl to cohabitate with their feathered friend in its pet friendly dormitories. All pets on the Eckerd campus must be registered with Eckerd’s pet council. Stephens College is home to Searcy Hall, affectionately referred to by students as “Pet Central.” In addition to welcoming cats and small dogs, Stephens offers an on-campus doggie daycare and opportunities to foster pets through a nearby no-kill animal rescue organization. Students housed in Caltech’s seven pet-friendly dorms are allowed to keep up to two indoor cats. Cats are provided with an ID tag by Caltech’s housing office, and students must remove cats if neighbors complain. 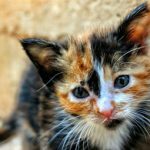 State University of New York’s Canton campus has a designated pet wing where students are allowed to keep one cat or a small caged pet with the approval of the residence hall director. Pets in this area are allowed free reign in the hall, as the school’s pet wing community tries to promote a family-like atmosphere for its residents.</p> <p>These are just a few of the colleges that currently allow pets on campus. In fact, a recent survey of college admissions officers found that 38% of schools have housing where some pets are permitted, with 10% of those schools allowing dogs and 8% allowing cats. Students who dread leaving Fido behind every fall might not have to if they choose a pet-friendly college. A pet insurance company has launched a petition to encourage legislation prohibiting animals being left unattended in cars. Petplan Insurance posted the petition on We The People, the Obama administration’s petition site. Like all petitions posted to the website, a White House staff member will review it and provide an official response if the petition reaches 100,000 signatures within 30 days. The initiative, called “Driven to Bark,” aims to have all states adopt statutes that do not allow pet owners to leave animals unattended in cars. Currently, only 15 states have laws against the practice, which Petplan says causes “countless” deaths every year. A pet insurance company has launched a petition to encourage legislation prohibiting animals being left unattended in cars. New York City mayor Bill de Blasio may be lifting a 15-year ban on ferrets. The ban, which was implemented by then-mayor Rudy Giuliani in 1999, was a source of controversy for fans of the small mammal. Giuliani and his administration said that ferrets were likely to carry rabies and were known to attack young children, but ferret advocates maintained that the animal was no more dangerous than other small mammals. In an internal memo, city health officials stated that “evidence shows ferrets do not bite more frequently or severely than other pets the same size.” Ultimately, the health department recommends lifting the ban, but says that spaying and vaccination requirements should be put in place. According to NYCFerrets.com, a ferret advocacy site, ferret ownership remains illegal in New York but may be lifted by the end of 2014. Every year in North America, the Centers for Disease Control monitor the prevalence of rabies. Thousands of wild animals test positive every year and, despite mandatory vaccines for some pets, hundreds of cats, dogs, horses and other domestic animals contract this killer. The good news is that rabies cases in people and domestic animals have decreased significantly, but only continued vigilance will insure our on-going safety. Several variant strains of rabies exist in North America, including strains found in skunks, raccoons, foxes and bats. Although these different rabies variants prefer certain hosts, they are capable of infecting all warm-blooded animals, including pets and people. Laws may vary slightly, but all states require dogs to be vaccinated against rabies. Many also require cats and pet ferrets to be vaccinated. For most pets, an initial vaccine after 12 weeks of age starts the series and a second is administered when the pet is a year old. After the first year, regular booster vaccines are required. Never assume that your “indoor only” pet is safe from rabies. Bats, the largest reservoir of rabies in North America, can find their way into homes. Attracted to their fluttering flight or a dying bat on the floor, our pets, especially cats, risk exposure. Since bat bites are almost undetectable because of their small size, you might overlook the fact that your pet has been bitten. Always contact your local animal control officer or wildlife expert if you see a wild animal acting out of character. Because of the deadly nature of this disease, you should never attempt to capture a wild animal on your own. September 28th is World Rabies Awareness Day. Although we rarely see human rabies deaths in our country, more than 55,000 people die from rabies annually in Asia and Africa. That’s one death every 10 minutes! What’s even sadder is that many of these deaths are children. For those of us in North America, we should never lose sight that this killer still lurks in our own backyard. If you have questions about rabies and to make sure that your pet is properly vaccinated, please call University Animal Hospital today. Fireworks and the Fourth of July go together like … well, fireworks and the Fourth of July. 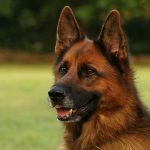 While you may already have safeguards in place for people and children, there are additional things to consider for pet owners. Here are a few tips on helping your pets remain safe and happy while dealing with fireworks. Always keep fireworks out of reach of your pet. While this may seem obvious for lit fireworks, it’s important to keep unlit fireworks away from your pets as well. Ingesting fireworks could be lethal for your pet. If your pet does get into your fireworks, contact your veterinarian right away. Be aware of projectiles. Roman candles, for example, have projectile capabilities. If used incorrectly, an ejected shell can hit a pet, causing burning. If your pet gets burned, contact your veterinarian right away. Keep your pet on a leash or in a carrier. Never let your pets run free in an area where fireworks are going off. Know what do to in case of a seizure. For some animals, being in the presence of fireworks can trigger a seizure. If your pet is prone to seizures, he or she should never be around fireworks, but most pet owners won’t know if their dog is prone to seizures until he or she experiences one. If this happens, stay calm and remove any objects in the area that might hurt your pet. Do not attempt to move your pet, as they may bite without knowing it. When the seizure is over, move him or her into an area clear of the firework’s sights and sounds. Call your veterinarian right away. Ease your pet’s fear. Many pets are frightened of fireworks, and may exhibit fear by whimpering, crying, or otherwise displaying uneasiness. Create a safe space for these animals before the event. During the fireworks, use the radio, television, fan or air conditioner to create white noise that will drown out the sound of the fireworks. By planning ahead and keeping key information in mind, your pet can have a happy, stress-free Fourth of July – and so can you! The veterinarians and staff at University Animal Hospital wish you and your pets a happy Fourth of July. 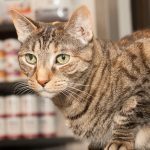 Update on Eukanuba and Iams Food Recall – many foods back in stock!